The best way to explain what "karma" is is to change the word "karma" to "action". Therefore "good karma" can be thought of as "good action(s)" while "negative karma" can be thought of as "negative action(s)". Or, as some people prefer to think of things, the consequences of our actions. Some people think of karma as something one has done in a past life. While this is partly true this is not the whole story. Karma is something we have done in a past life. Karma is something we have done/are doing/will do in our current life. Karma is something we will do in a future life/lives. In other words any action is karma. "Karma" is operating all the time. All thoughts, words and deeds create good and/or bad karma. Now you might think "If I sit on my chair and do nothing then I will incur no karma." This is incorrect. Sitting and doing nothing is making the choice to do nothing. It is the "action" of sitting still. In fact the action of doing nothing can earn you negative karma ! Keep reading. To put the above comments another way "As we sow so shall we reap." If we do positive things in our life towards other people then positive things will be done to us. Not necessarily by the person we help/try to help. The same goes for negative actions. These will come back to us as well. These things sometimes however come back in a future life. Not necessarily in this one. You might say "I want all the good deeds I have done to return to me in this life." Fine, but would you want all your negative actions to be returned to you that quickly as well ? In reality it is better if our negative actions do not return immediately. This gives us time to reconsider what we have done and perhaps make restitution for mistakes made. If you want to know what negative karma you have then you do not have to remember past incarnations **. Generally, but not always, the areas where we are having difficulties in our lives are areas where we have made mistakes. For example if we constantly have health problems then we may have adversely affected other people's health in the past. Money problems are often the result of creating financial problems for people etc. etc. Karma relates to all areas of our lives. Both large, and small. The following graphics might make understanding things easier. 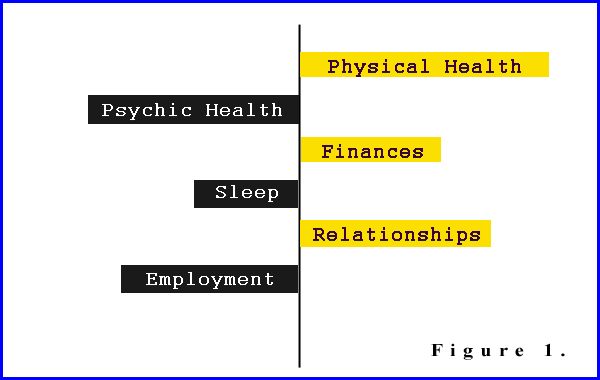 Figure 1 represents one person. 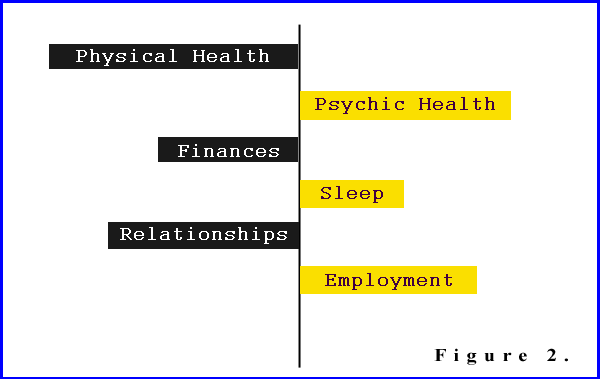 Figure 2 represents a different person. The areas listed on the right represent lessons learnt (good karma) while those on the left represent life lessons not learnt (bad karma). Our goal in life is to learn all our "spiritual lessons" (while having a physical experience) and end up with nothing listed on the left. Everything ending up on the right. Likely to have few, if any physical health problems. They will probably have very few, if any, financial problems. They will have few, if any, problems in the area of relationships. They are likely to experience severe psychic problems. They are likely to have problems sleeping. Getting/keeping employed is likely to be difficult for them. Likely to have few, if any psychic health problems. They will probably have few sleep problems. They will have few, if any, problems getting/keeping a job. They are likely to experience severe physical health problems. They are likely to have financial problems. Getting/keeping good relationships is likely to be difficult for them. Some people think that because they have done many things to help others in their current life, and apparently got little/no benefit, karma doesn't exist. It does, but in this instance the good deeds are almost certainly insufficient to significantly undo past thoughts/words/deeds. To help explain this better, suppose you owe someone $10,000. Paying them back a large sum eg. $1,000 will not "clear the (area) debt" fully. A "cleared" karmic area means few, if any, future problems in that area. To help understand things better take a look at figure 3. Here we see a comparison of two people. Person one has ten times the amount of karma to resolve as person two. The area is unimportant. It could be "Health", "Relationships", "Employment" etc. etc. If person two cleared his/her karma in this area completely, and person one did the same amount, the final results would be different. Person two would have cleared his/her karma, and person one would have only cleared 10% of his/hers. Most of what we are discussing here is about karma "in general". The "victim(s)" of our actions/lack of action(s) are not necessarily known to us. For example, if we go to war against another tribe/group/community we may not know any of the people personally. We still have to resolve the consequences of our intolerant/aggressive/racist deeds however. At other times karma is "personal" and we need to work through our bad karma with certain people. Our next figures help illustrate the working out of karma with specific individuals. It also explains why we have "difficulties" with some people in our life. Some more so than others. For example, we may get on well with most of the people we work with, except for a particular person, or persons. The original karmic situation(s) may have been created in this life, a past life/lives, or a combination of both. Here we	have created a negative karmic situation with three people A, B, and C.
We have treated B. with twice the intensity of A. We have treated C. with three times the intensity of A. We haven't adversely affected person D.
Here we have three people A, B, and C. adversely affecting us. B. affects us with twice the intensity of A.
C. affects us with three times the intensity of A. Person D. doesn't affect us in a negative way. Whether we are talking about karma in general, or personal karma, karmic clearing/reversal depends on what we say/think/do AND the size of the initial area. If you want to be "reaping" more positive karma in the future then "sow" more positive things to others now. In the earlier example of "action" I gave the situation of "doing nothing". This may mean that someone we might have helped wasn't helped. Think about that. Particularly if you find yourself in a situation where no one seems interested in helping you. We are usually denied what we have denied others previously. Two other factors that affect how much "positive" karma one creates are motivation, and capacity. If one helps others so that they can tell everyone how "generous" they are then they will get little, if any, positive karma for their efforts. Their motivation is to impress people not to express compassion. Such people are often eager to tell people (unsolicited) how charitable they are. Can $50 be of more worth than $500 ? When thinking of karma one might think that a person giving eg. $500 to charity will create more "positive" karma than someone giving $50. That is NOT always the case. One has to consider the capacity of each to contribute. The first person may be single, have few debts, and thousands of dollars in the bank, while the second has a family to support, many debts and little spare money. The latter may be "giving" more. ** Few people are interested in consciously recalling their past lives , but for those who are, this can be a great help in our finding out what we have done wrong in the past. The source of our "bad karma". If we know the mistakes we have made/opportunities that we have missed in the past then this helps us to not repeat them again. It also helps us to know how to "reverse" karmic deficiencies. It is very common for people to repeat the same mistakes life, after life, after... creating more negative karma, or at the very least, not progressing spiritually. Fortunately this type of situation will not continue indefinitely. If we are refusing to learn from our mistakes then we may find ourselves in the position of our "victims". For example, the racist who hates black people is likely to be born as a black person themselves, in a society of white racists. The misogynist male will find himself born as a woman. In a situation where men are hating/disliking/mistreating him (her). The misandrist female will find herself born as a man. In a situation where women are hating/disliking/mistreating her (him). Sometimes one may wonder whether a "lesson" is learnt too well. With the misogynist male (when born as a female) becoming excessively fanatical about women's issues. Or the ex-soldier being extreme about anti-war issues. A reasonable approach, in either person, may represent their spiritual "lessons" learnt correctly. On a related issue, many an ex-warrior has "learnt their lesson" and chosen to come back as a healer, doctor, nurse or surgeon to reverse their past life actions. Even if we know what past life errors we have made (lessons un-learnt) it is still important to know how to "reverse" one's karma. This is because not only do we need to learn from our present/past life experiences, but we often have "unfinished business" with people we meet in this incarnation. They carry the mental/emotional effects of our actions into their present life. This is often why we have "difficulties" with certain people. Working with a past life regressionist, who has a good understanding of how karma works, can help a lot here. For those people who think that what has been done in a past life is of no importance now, think of situations such as eg. physical pollution and deforestation. Both could affect an area for hundreds of years. Or permanently where wildlife/healing plants may become extinct. Such actions may also adversely affect the climate. Now, and in the future. Suppose you reincarnated in that area, in that period, wouldn't you be adversely affected ? The same goes for psychic pollution and the creation of negative energies/thought forms. Fortunately, we can often reverse past life thoughts/words/deeds. In the physical sense we can re-grow forests. We can preserve them, and enlarge them. We can help preserve endangered species that may now, or in the future, be on the verge of extinction. In the non physical sense we can psychically dissolve negative thought energies/thought-forms from the past as well. Creating a better world now is not only for the benefit of our children and grand children. It may be for our own benefit as well. Now, and in a future existence (of our own). Hopefully, the above has helped to explain why we/others may have difficulties in some areas of our lives, while other areas seem to be okay, and why it is important to create positive karma, for everyone's benefit. One should keep in mind why "negative" karma comes back to us in the first place. To help us to learn compassion. Our experiencing what we have done to others is meant to teach us what it is like to be receiving what we have given to them. Thereby encouraging us to treat others the way we would like to be treated. The following may make things clearer. (1) Direct negative thoughts/words/deeds to others. (Creation of "negative" karma). (4) Direct positive thoughts/words/deeds to others. (Creation of "positive" karma). If one learns (3) then does (4) this automatically helps reverse (1) and reduces the amount of (2), sometimes removing the need for (2) altogether. Our page on "Past Lives". "Karma and Reincarnation" - Barbara Y. Martin and Dimitri Moraitis. "Many Mansions" - Gina Cerminara. "Life Lessons: our purpose in being human" - Peter Watson Jenkins and Toni Ann Winninger. "Your Soul's Plan: Discovering the Real Meaning of the Life You Planned Before You Were Born" - Robert Schwartz.